Sadly that summary by Elsie Rempel’s son is more common than it should be. Elsie was one of five staff dismissed by Mennonite Church Canada late last year. This style of dismissal is happening too often, whether in Mennonite Church Canada, Ten Thousand Villages, Mennonite Central Committee (MCC) or thrift stores. A strategy not uncommon in the corporate world, it emerges with increasing frequency in Mennonite organizations. Usually it’s a surprise to the employee. They’re told their services are no longer required, then given a letter (often with legal wording) and asked to leave the premises. Some are given an hour or two to retrieve their personal effects, others are told they may return to the premises after office hours. The employee might be asked to sign a letter agreeing to the terms of dismissal, sometimes including a “gag order” prohibiting the person from making public comments. Of her termination, Elsie said it was “incredibly sudden, I was stunned. . . . There were things on my calendar. . . . It felt like I was pushed off a high diving board without any process.” With speaking engagements scheduled when she was let go, she said, “With no access to my computer I couldn’t even let them know.” She found that being told her services were appreciated and valued while being fired was difficult to accept. Elsie wishes that she had been given several months’ notice to finish her work. “That would have been better than the generous severance I got,” she said. Besides the financial package, she received many messages of thanks and condolence, including from MC Canada board members. Randy Wiebe was dismissed after more than 11 years at MC Canada as its chief financial officer. Executive director Willard Metzger told Wiebe it was for financial reasons. MCC Canada fired James Loewen in 2011 after he made some partisan political comments during an election campaign. The comments appeared in the Globe and Mail on a Friday and Loewen was fired the following Wednesday. That’s because it was abrupt and harsh. With no negative performance reviews, Loewen was dismissed without any process. He was the one who requested a “facilitated dialogue” with MCC Canada to address his situation. Loewen taught conflict resolution in a Caribbean country for MCC then continued working for MCC in Canada in restorative justice. At the time of his dismissal, he was working on a major grant application for services to prisoners. He acknowledges the inappropriateness of his comments and feels a reprimand would have been appropriate. “This was one incident in a 12-year career with MCC,” he said. “It was handled in an unskilled way.” He said he sought to “open a path for learning and reconciliation” with MCC. accountability to the constituency, Peters said staff are accountable to the executive director, who is accountable to the board. The board says this is a personnel matter; not a board issue. Catch 22. A former employee of one of these organizations describes “corporatization” as taking over. Corporate strategies might be appropriate for church-related agencies but all, especially those dealing with personnel, need to be challenged, rather than calmly accepted. There are many reasons for dismissing people: downsizing, poor performance, illegal behaviour and funding shortages, among others. Firing someone is never easy, but cold, legalistic terminations leave a lot of pain and scars. Consultants realize dismissals are an affront to the dignity of the employee and acknowledge the process, which can be cold and efficient, as less than ideal. Most bosses delay terminations as long as possible, since they affect everyone in the organization, morale suffers and staff become more cautious. A Harvard Business Review article says that letting an employee go should be the last step in a careful, fair and transparent process that starts long before the actual firing. If possible, the firing should not come as a surprise. Haste and secrecy often violate policies of transparency and openness. But secrecy is a more accurate description. There are simple strategies to overcome concerns about confidentiality that seem to have escaped some administrators. The organizations we love have gone down a corporate path on some issues, but the path should include compassion and love in the name of Christ. Can they find their way back to this path where a conversation and a handshake may be enough? Henry Neufeld attends Point Grey Inter-Mennonite Fellowship in Vancouver. 1. Under what conditions is it appropriate for a church or church organization to lay off an employee without warning? If the organization pays a generous severance package, does it matter that it comes as a surprise? 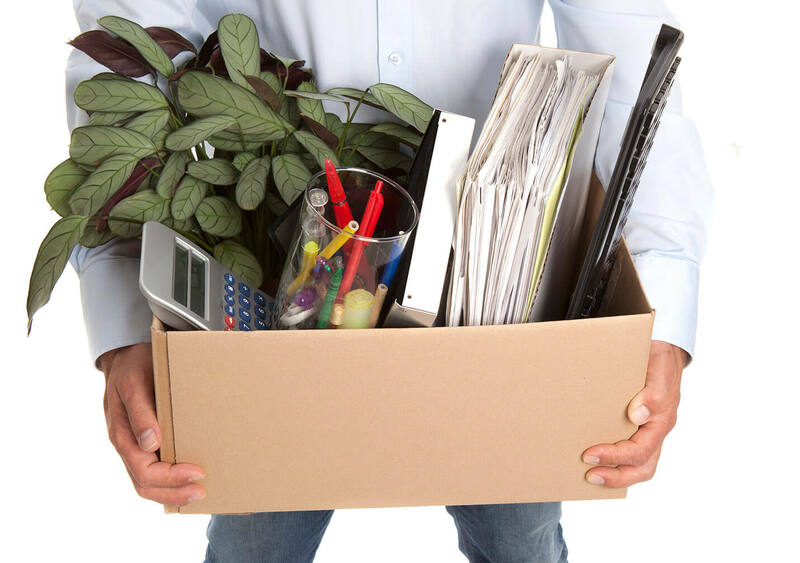 How is an abrupt termination disrespectful to the employee? 2. Henry Neufeld writes, “Most bosses delay terminations as long as possible, since they affect everyone in the organization, morale suffers and staff become more cautious.” Is this concern about morale enough reason to end employment suddenly? Are there other reasons for an abrupt termination? How does fear of legal action impact this process? 3. Neufeld comments that church organizations have been acting too much like corporations when it comes to dismissals. Do you agree? Is concern for stewardship of donated funds a reason to act harshly? 4. When it comes to telling staff that their services are no longer required, do congregations do a better or worse job than church organizations? What advice would you give to church organizations when they are forced to reduce their staff? Many thanks to Henry for pointing out the ongoing secularization of our Mennonite agencies, and the dehumanizing process that creates in dealing with people who have been called to serve, and now find themselves 'no longer required.' Thanks to the Canadian Mennonite for having the courage to publish this troubling article. With the 652 thousand dollar deficit reported after Assembly, MC Canada will have opportunity to do better this next time cuts are needed. What a shock! Thanks for sharing. I think a lot of people can identify with this. The reality most of the time, is that services are actually needed, but the money is not there, and the priorities have been downsized and adjusted. I have my story too, thankfully I have been able to continue my vocation outside of Mennonite Church Canada. The Mennonite Church sadly has become nothing more than a business. Those who faithfully served the church often going beyond their duties are treated without dignity or respect. I have personally witnessed this and how it completely ruins people's lives. I am thankful to discover other denominations who value their employees and congregations. This goes beyond the 'corporate' label. When an organization, secular or faith based, forgets about the 'person', it speaks volumes about the values of that organization. In my experience, many corporations are actually more competent in managing this transition than most faith based entities. While still a difficult experience, many corporate dismissals provide not only financial transition to minimize that impact but also provide ongoing counselling services, specialized in respectful transition, focusing on the future. When poorly managed, dismissal, especially when the job is 'service' based, it has a significant impact on the individual's self-worth. Further, dismissal should never come as a surprise to the employee. Meaningful dialogue should happen prior to any job action. When done well and with respect, though still painful, the individual will still feel respected and can move beyond the experience with their dignity intact. For organizations, like MC Canada, including constituent churches and affiliated organizations, who are, by their very existence scripture based, those very teachings are poorly applied when it comes to employees. The secular world is watching and hearing some very painful stories of how a church treats its people. It is interesting to read this article, which was researched while snow still lay on the ground, now that much healing has taken place. Since then, I have been welcomed, by the Mennonite partners I worked with, and by Mennonite Church Canada, to complete projects that remained incomplete when my employment was terminated. This included being a workshop presenter at Mennonite Church Canada's Assembly. I was also invited to a meeting to reconcile with those who gave me the sudden and sad news that my employment was over. I have been warmly welcomed back to office celebrations. While this does not undo the pain of the sudden termination, the picture of what happened is fuller and more positive than the article indicates. Thanks, Elsie, for your submission. You are being very kind. I'm pleased that some reconciliation has taken place and that you were able to complete some projects. I am wondering whether we will hear from those who implemented the dismissals? Will there be an indication of regret for the "corporate style" used by our leadership? What were our leaders afraid of for not openly dealing with the need to terminate some positions? This was an opportunity to model how the church handles difficult issues. I believe as Christians we are called to be Christ-like. This has made me wonder what Christ would do if he was the owner of a faith-based organization. I believe there would be honesty, forgiveness for what needs forgiveness, healing for what needs healing and comfort for those who need comforting. Christ would not disguise his intentions by using terms like "without cause" to leave staff broken and confused. Christ would certainly not resort to behavior meant to intimidate, shame, wound and silence those that have been told they are his chosen. In saying this, how can it be Christ-like to do this to each other? Christ’s actions would be holy. Are we not all called as Christians to act holy and with love? Are we not called to be respectful, and live with compassion and integrity? We are a light of Christ's love to the world. How are these actions in a faith-inspired organization, reflecting Christ's love to others, when they do not show faith, trust, truth, love or compassion for each other? I agree with you Ken. The Mennonite Church has become a business, but not a very good business at all. Is there a christian way to terminate? This article raises important issues and makes some good points. As a professional who has advised various kinds of employers on personnel matters, I admit that we probably often get it wrong (advisors and employers), or at least could do better. For example, while for some time the received wisdom has been that it is ultimately cleaner and less traumatic to "rip off the bandage" abruptly, rather than extend the process, recently there has been increasing interest about giving employees an advance warning (working notice) when the circumstances merit. But this will not be appropriate in every case. 2. I am a little surprised at how flippant the article is about employers citing confidentiality concerns when speaking to the media about personnel matters. If you are an employee, ask yourself how comfortable you would feel having your employer discuss disputes it may have had with you in the pages of your community newspaper. I have long felt that this is an issue which should be addressed. I have finally seen the term corporatization used by someone else. Our church organizations seem to think that following corporate practices is the way to go, although in some cases corporate practice is more humane. There are certainly good reasons to terminate people. Downsizing is certainly a hard one to get around and there are blatant issues like theft or sexual misconduct. But summary dismissal of someone by any single authority should be of grave concern at the top (board) level.